Feng Shui Master Tanya Jahnke has a list of suggestions you can follow right now to prepare your home for the Year of the Dog, the Chinese New Year that begins February 16, 2018. I interviewed Tanya about Feng Shui for the Natural Healing Show for UK Health Radio. You can watch her very helpful interview at the link above. Find out about her excellent work at this link. To watch more interviews with great experts like Tanya Jahnke, follow my Youtube channel at this link. Clean your home as if the most important house guest ever was coming! Clear dust, dirt, cobwebs by intentionally dusting, sweeping & vacuuming Deal with petty annoyances. WD 40 squeaky doors, change light bulbs, replace anything that is empty or broken. Clean out your wallet. Sage or clean your wallet, or better yet, invest in a new one! Go to the bank or ATM to fill your wallet with actual cash. Money magnetizes more wealth! Pay off or down a debt to set the intention for financial freedom. Move 27 things to shake up and transform your space and release old patterns. 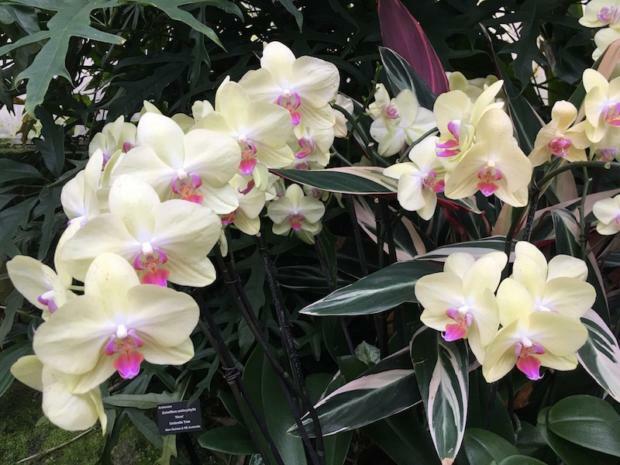 Buy a healthy green plant, orchid or fresh flowers to invite vitality, health and self-care in 2018. Add a bowl of satsumas or oranges to the dining room table. The color orange invokes joy and oranges symbolize perfect health and lots of money! Write your intentions for 2018 in red or purple ink (in present tense). Plant the pieces of paper in the soil of your plant or in your garden to “seed” your wishes. Make lots of noise! Play music, bang pots, sing, laugh or clap to lift the energy. Open up your doors and a few windows close to midnight to release the burdens and start fresh in the new year. Speak kind words, share compliments and spread love. Share a meal with friends or family. A full table, happy belly and overflowing heart signal bounty to the Universe, which only invites more of the same! Walk in Nature to sync up with the natural rhythms and take time to appreciate beautiful reminders of life and your potential. Buy or bake sweet treats. It is said that eating something sweet on New Year’s Day ensures a sweet year ahead! NO cleaning your house–it’s believed to sweep away blessings, luck and wealth. NO looking back or talking about the past NO speaking negatively, judging or gossiping NO cursing or mean words. 2018 is the Year of the Yang Earth Dog. Every year, Feng Shui masters recommend you make changes to your home to prepare for the incoming energies. Taking great care to balance the five elements in your home leads to greater harmony, excellent health and prosperity. In Atlanta, I recommend Feng Shui Master Katherine Graham. I’m a raving fan of Katherine Graham’s work and have benefited from her sage advice for my home and garden. Even if you’re not yet ready to consult a Feng Shui master about your home or business, experts say if you want to change your life, change 27 things in your home. Set your space intentionally and reap the benefits of good health, happiness and easy money. I knew you as Cathy many years ago at SCDS and at Brown and when I was going through a challenging year of healing in Savannah. I found your website and have enjoyed reading it and the beautiful photos. I thank you for being my friend when I really needed a friend. I am happy to see the good life you are living and the good work you are doing.